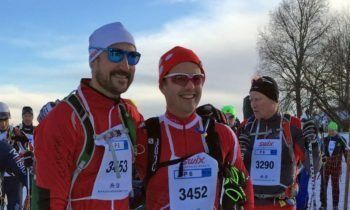 Crown Prince Haakon of Norway and Crown Prince Frederik of Denmark participated in the Birkebeinerrennet in 2017. Photo: Gunn-Eva Høgseth, Det kongelige hoff / The Royal Court. His Royal Highness Crown Prince Haakon ended his three-day visit to the Olympic city of Pyeongchang yesterday. On his last day, the Crown Prince was a witness to a historic day for Norway. Norway has never had such a good day when it comes to victory in the Olympic Games as yesterday. Norway won six medals: three gold, two silver and one bronze. The Crown Prince started his last day in South Korea by watching Aksel Svindal and Kjetil Jansrud win gold and silver in alpine skiing. Before the race, the Crown Prince was given a guided tour together with the Norwegian national team in alpine skiing and talked with the athletes and coaches. After this event, His Royal Highness witnessed Ragnhild Mowinckel win silver in women’s alpine skiing. This was Norway’s first female alpine medal in the Olympic Games since 1936. 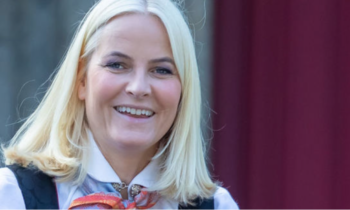 The Crown Prince then continued his hectic programme when he saw Ragnhild Haga win gold and Marit Bjørgen win bronze in cross country skiing. The day concluded when Johannes Thingnes Bø won Norway’s third gold, in the biathlon. 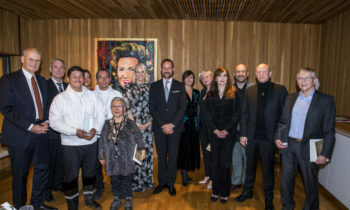 Crown Prince Haakon has had a jam-packed programme in the last three days. He has talked to most Norwegian athletes in all the sports Norway participated in and received a lot of information about the Norwegian athletes and their techniques. After talking to gold medal winner Johannes Klæbo on the second day, they met the press together. 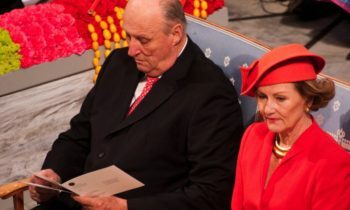 Norwegian television NRK asked His Royal Highness if he had received any tips that he could use when he participates in the “Birkebeinerrennet”. Birkebeinerrennet is a ski race with royal history and was established in 1932 in memory of the trip that Torstein Skevla and Vald Skrukka had with King Haakon Håkonsson in 1206. The race takes place between the Norwegian mountain villages of Lillehammer and Rena and is 54 kilometres long. The Crown Prince has participated in the competition in many consecutive years, and last year, Crown Prince Frederik of Denmark also participated. However, Crown Prince Haakon revealed that he would not take part this year. His Royal Highness would not go into detail why he will not attend but said he, unfortunately, did not have time this year.